Darren Criss in The Assassination of Gianni Versace. American actor Darren Criss has been praised for playing a number of queer characters over the years, but he says it’s time he stops taking those roles. 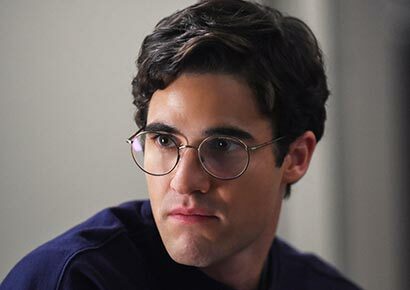 Criss, 31, was most recently applauded for his role as gay killer Andrew Cunanan in The Assassination of Gianni Versace. The part earned him an Emmy and a recent Golden Globe nomination. He also famously played gay student Blaine Anderson in Glee and the transgender singer Hedwig in the musical Hedwig and the Angry Inch. He said that, despite this, he’s decided to turn down any future LGBTQ roles. “There are certain [queer] roles that I’ll see that are just wonderful… But I want to make sure I won’t be another straight boy taking a gay man’s role,” Criss explained. His sentiment is admirable. The reality is that there are very few LGBTQ parts in mainstream entertainment in the first place and those that are on offer are usually played by straight and/or cisgender performers. In fact most of the stars who have won accolades for playing these queer characters are straight. Recent examples include Timothée Chalamet and Armie Hammer in the Oscar-winning Call Me By Your Name and even Schalk Bezuidenhout in the acclaimed local film Kanarie. There’s a sense of frustration in the LGBTQ community that people from outside it are the ones who are most often tasked with representing it. Earlier this year, straight British actor and comedian Jack Whitehall was caught up in a firestorm after it was revealed that he is playing the first major openly gay character in a live action Disney film. The Avengers star Scarlett Johansson also pulled out of the film Rub & Tug over a furore about her, as a cisgender woman, taking on the role of a transgender man. There has been some push-back against these controversies and not everyone agrees with restricting who gets to play which roles. Some people, LGBTQ and otherwise, feel that acting is about playing characters that may not relate to an actor’s real life and that the best person for the job should get the part, regardless of their personal identity.